The next highly anticipated successor. 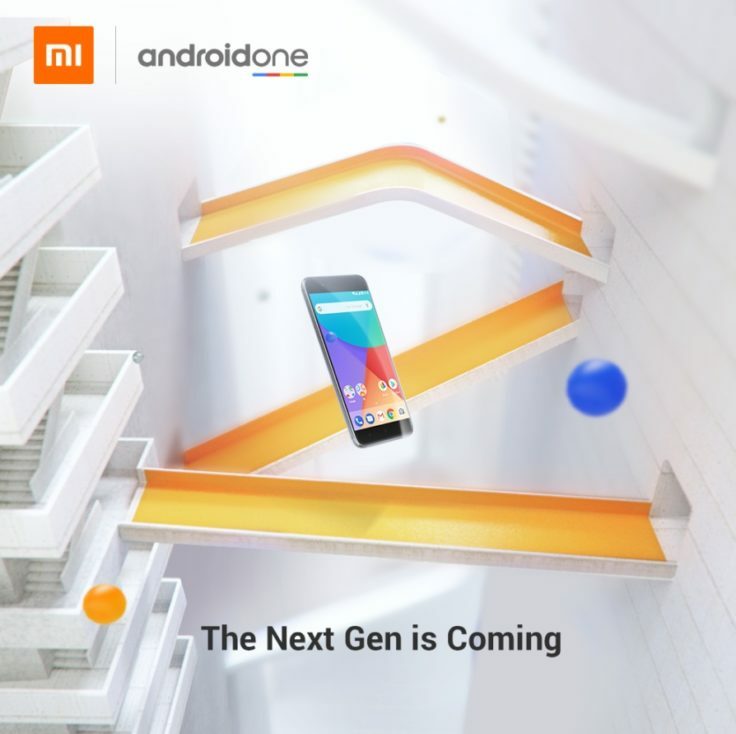 After it was to come first, then denied again, the Xiaomi Mi A2 is Xiaomi’s second Android One smartphone. It is identical in construction to the Xiaomi Mi 6X and offers a powerful processor and a great camera. But with this smartphone you also have to make some compromises. Just to put it briefly: In 2017 Xiaomi released the Xiaomi Mi 5X, which was launched shortly after the Xiaomi Mi A1. The first Xiaomi smartphone without MIUI operating system, but with Android One or Android 8.1. Android One describes the program, in which smartphones are equipped with Stock Android and are supplied by Google with fast system updates. In the second quarter of 2018 the Xiaomi Mi 6X, the successor of the Mi 5X, was released. Accordingly, the Xiaomi Mi A2 smartphone with Android (One) operating system follows. The size of the Xiaomi Mi A2 is defined by the 5.99 inch screen on the front, as we also see on the Xiaomi Redmi Note 5. In contrast to note 5, this is an aluminium unibody. The dimensions of 155.4 × 75.8 × 7.3 mm are hardly any larger than those of the predecessor. At least you get half an inch more screen diagonal. However, the weight of 166 g is almost identical. The edges of the screen are pleasantly thin but clearly visible. There are no capacitive buttons, the front camera and the sensors are on top. For this purpose there is a dual camera on the back, which is arranged vertically. The fingerprint sensor is also on the back, with the Mi logo and, of course, a CE mark below. Xiaomi also offers the customer a small selection of colours. Besides the classic black, there is the Xiaomi typical golden version and a more extravagant light blue. Inside, however, there is probably the most exciting change compared to its predecessor. Here we have the Snapdragon 660 processor, which we already know from the Xiaomi Mi Note 3. This is a really strong CPU that occupies exactly the upper middle class and can almost tie in with the power of a flagship smartphone. This is ensured by eight Kryo 260 cores, which are divided into two quad-core clusters. One unit with a clock frequency of 2.2 GHz, the second unit with 1.8 GHz. In addition, there is the Adreno 512 graphics unit. Our assumption is also confirmed in practical tests. The Mi A2 is very easy to operate, as the processor works very smoothly and does not even reach its limits in everyday life. Games can also be played well, depending on the game on medium or high graphics settings. 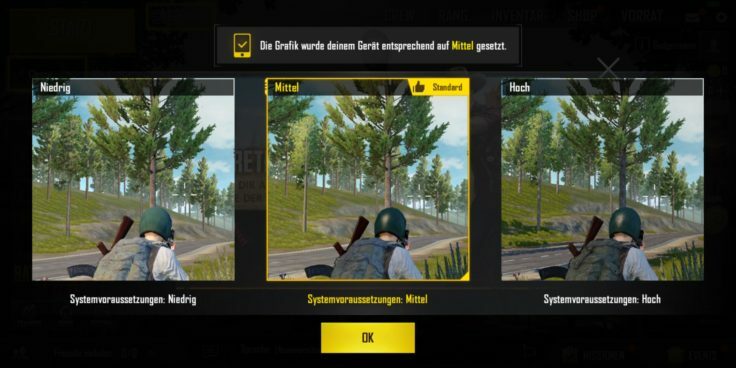 With PUBG you have to live with rare frame drops in medium settings, but these do not influence the game experience. For the casual gamer this is absolutely sufficient and meets our requirements, but the A2 gets quite warm. That should not really be the case. However, we recommend to set the animations to half the speed in the developer settings, as this slows down everyday use a bit. The benchmarks we have carried out also confirm this impression. The performance is almost identical to that of the Mi 6X. 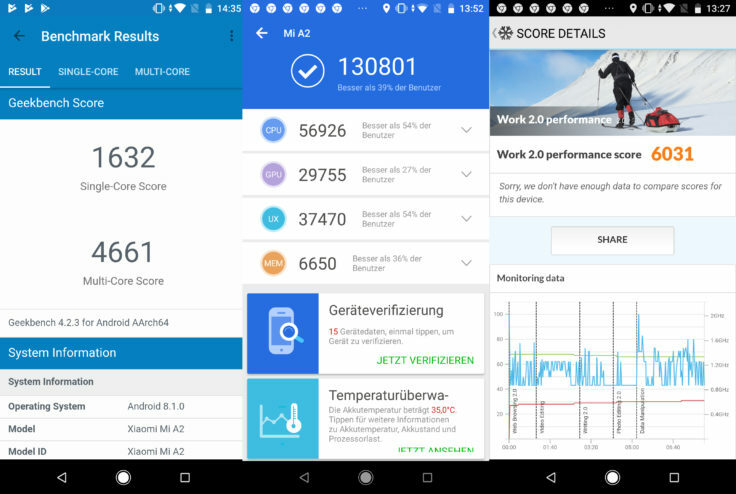 The only interesting thing is that the Geekbench Multi-Score is much worse than the Mi Note 3 with the same processor. However, all other values are also comparable here. This places the Mi A2 in the upper middle class and above the Redmi Note 5, which almost matches the Mi A2. The Xiaomi Mi A2 comes in three versions. One with 4 GB RAM and 32 GB or 64 GB internal memory and one with 6 GB RAM and 128 GB internal memory. Before you buy, you should think carefully about how much memory you need. Memory expansion via microSD card is not possible! After all, you can get unlimited Google Photos memory for photos and videos in original quality. The battery is relatively small on both the Mi 6X and Xiaomi Mi A2. The capacity of 3010 mAh is slightly smaller than the predecessor but also smaller than with its own flagships such as the Xiaomi Mi 8. In the battery benchmark, the Android One smartphone achieved a screen-on time of just over 7 hours. So that’s de facto enough to get through the day with one battery charge, but that’s all there is to it. This is almost untypical for Xiaomi smartphones, under MIUI the Mi 6X could perform a little better. It is also interesting that the Xiaomi Mi 8 in the Explorer Edition has reached a value of 9 hours with virtually the same battery size. This is probably due to the AMOLED panel and MIUI, among other things. 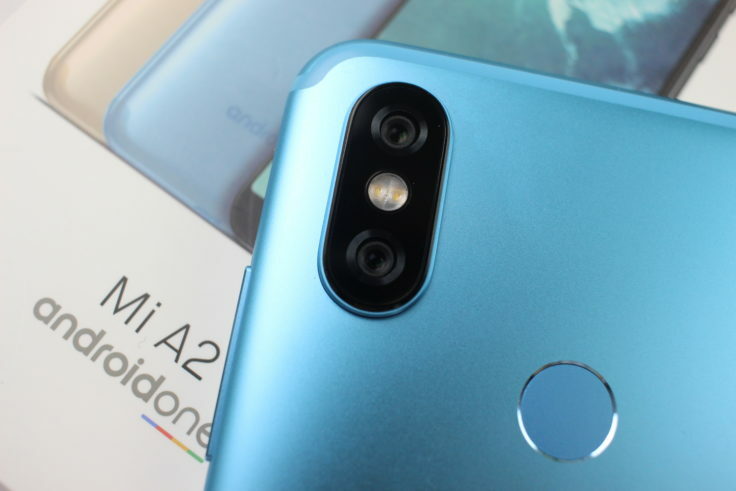 The Xiaomi Mi A2 comes with a dual camera, consisting of the primary Sony IMX486 12 megapixel sensor and the secondary Sony IMX376 sensor with 20 megapixels. The interesting thing is that the second sensor is not a telecamera, but a low-light camera. This is used when the lighting conditions are particularly poor. 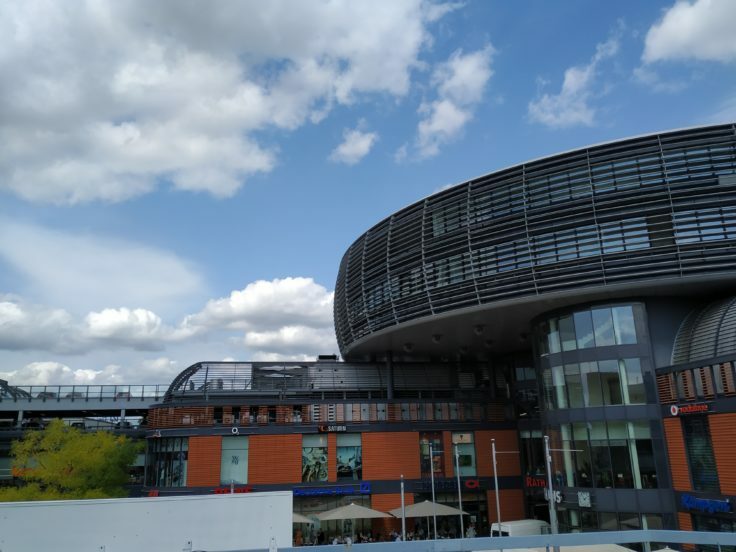 This also worked relatively well in the test of the Mi A2, but the camera did not quite reach the capacities of a Mix 2S or Mi 8. Nevertheless we liked the photos of the Mi A2 very much. The resolution is high enough so you don’t lose too many details in the background. I like the colours, they are not quite as extreme as with the Mi 8 SE but overall it is still a warm colour profile. 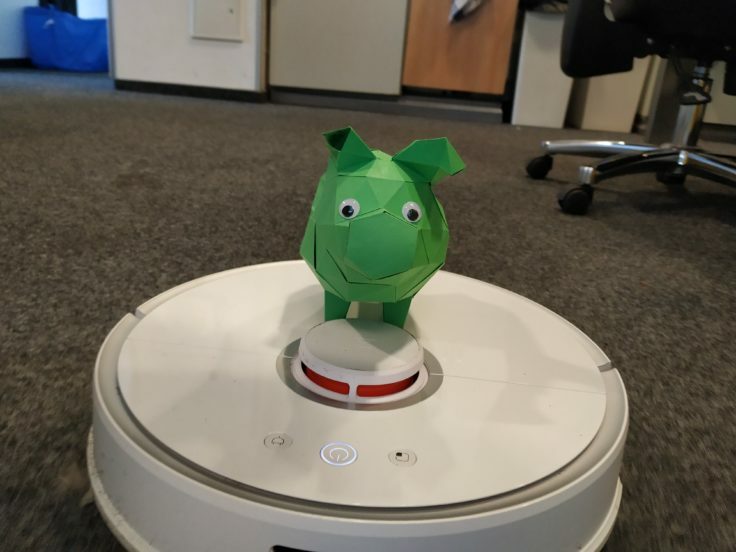 The focus works reliably so that the green pig is also pin sharp despite the movement of the vacuum robot (see below). Well, the vacuum robot doesn’t move very fast either, of course, but the shutter speed remains so short even under artificial light that such photos succeed well. 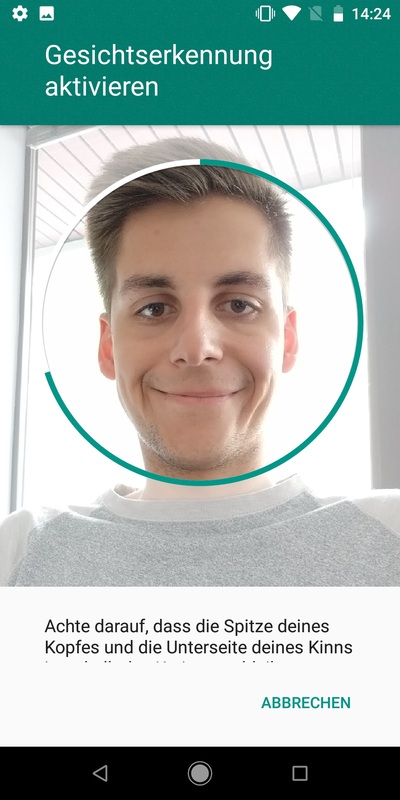 Especially the portrait mode and the 20 megapixel front camera convinced us in the test! This is probably the same sensor as on the back. All in all, the Mi A2 is also ideal for people who expect a little more from their smartphone camera. The portrait mode of the front camera knows how to please once again and manages to separate the object well from the background. But why are two versions of the same smartphone necessary? Even though the Xiaomi Mi 6X is a really strong smartphone in itself, the phone lacks two crucial things: all LTE tapes and multilingual software. That’s where the Mi A2 comes in. This is intended for the European market and is accordingly equipped with multilingual Android One operating system and various LTE tapes. We already know this from the Mi A1 and it is a very clean Android operating system that is quickly supplied with updates! That means: there are actually all important global bands. Two Nano-SIM slots are available for LTE reception. Bluetooth 5.0, GPS, AGPS, GLONASS, BDS and Dual Band 802.11a/b/g/n/ac WiFi are also included. Unfortunately, you don’t need a 3.5 mm headphone jack for this. 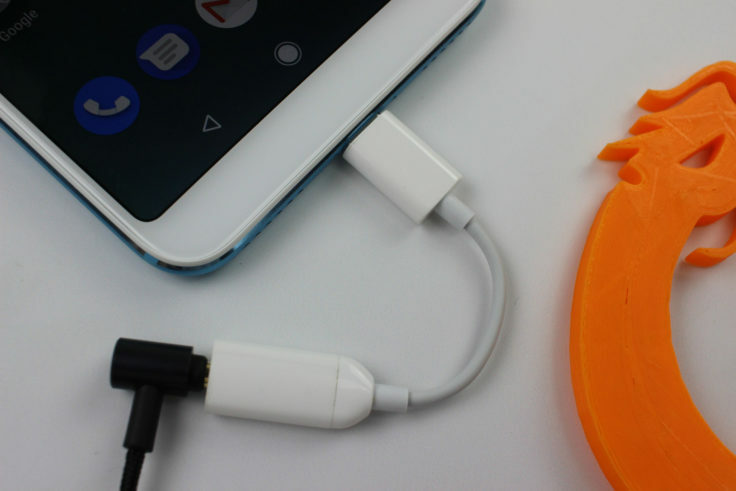 Here Xiaomi only uses the modern USB Type-C standard. However, an adapter is included in the scope of delivery. As far as the mobile internet is concerned, we didn’t notice anything unusual, everything is going as expected. Speaking of headphones: the sound of the Mi A2 is in my eyes perfect with wired headphones like the Xiaomi Piston Pro 2 as well as with internal speakers. I find the sound satisfying, the Xiaomi Mi Mix 2S with the stereo speakers offers a bit more bass and is louder than the Mi A2, but we are used to much worse things from other manufacturers. The biggest difference between Mi A2 and Mi 6X is the operating system. Because on the Mi A2 there is a pure Android 8.1, the Mi 6X works with Xiaomis own MIUI operating system, which is of course based on Android 8.1. So what does that mean in plain language? On the Mi A2 is almost no additional software of the manufacturer, only the basic apps of the operating system and of course all Google services. They come onto the market in the same way as Google’s own smartphones, such as Google Pixel 2, with only three Mi apps pre-installed: Mi drop, feedback and the file manager. In addition, the Mi A2 is supplied very quickly with updates from Google directly as part of the Android One program. For example, the Mi A1 was relatively fast on Android 8, even if there were problems with the update at first. Whether Stock Android or MIUI is better is not easy to answer and also depends on individual preference. Optically alone there is a big difference, but here you can adapt the pure Android even better. MIUI reaches very deeply into the system and the battery life, for example, benefits from this, here the Mi A2 has to take the short straw in the test. Both operating systems and interfaces have their advantages and disadvantages. Face recognition is also on board and functions reliably and relatively quickly. 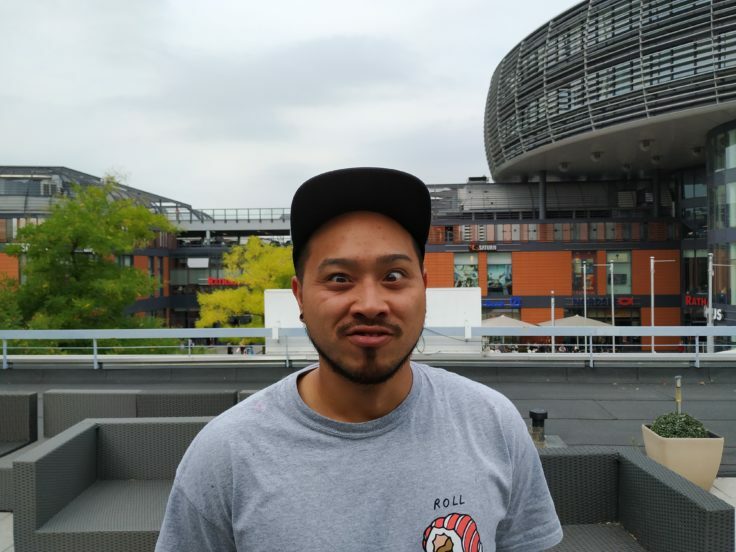 Beside the Xiaomi Mi A2 the Xiaomi Mi A2 Lite, which is identical in construction to the Xiaomi Redmi 6 Pro, appears. So we’re dealing with a 5.84 inch display including notch, but then we work with the Snapdragon 625 processor. Thanks to a 4,000 mAh battery one should expect a very solid battery life here again. Also the photos of the 12 & 5 megapixel dual camera are quite impressive. The biggest difference is the operating system. 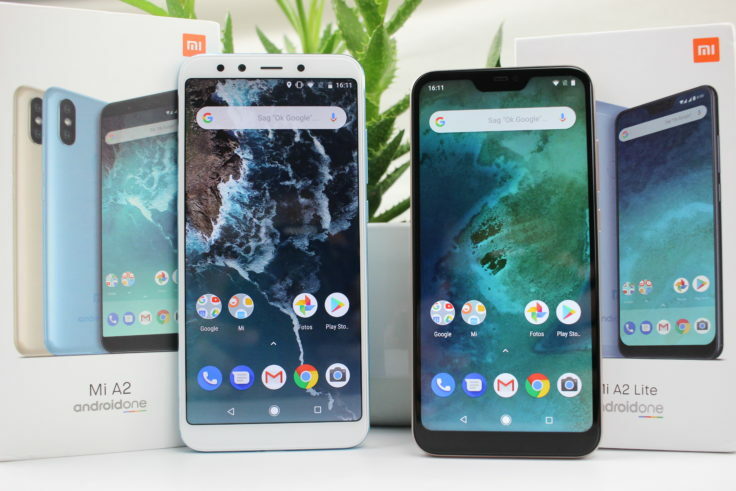 The Xiaomi Mi A2 Lite appears like the larger Mi A2 with the Android One operating system. The Xiaomi Mi A2 is a smartphone that many of you and we have been waiting for. Because it starts exactly where Xiaomi is currently still somewhat weak, namely in the upper middle class. 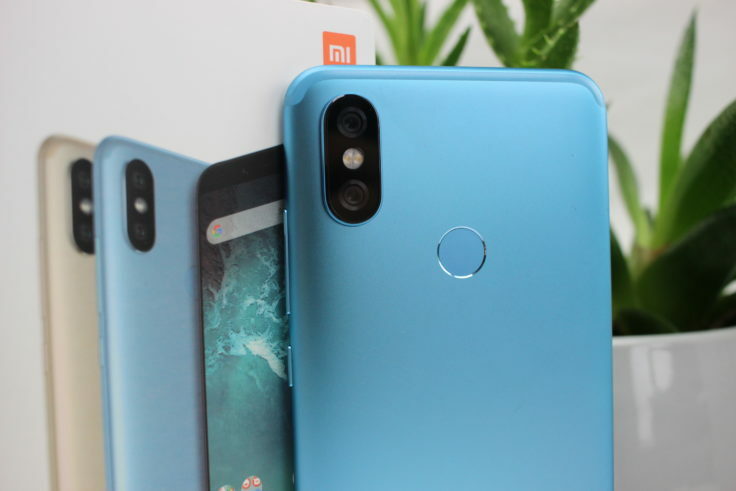 Under $200 you have lots of opportunities at Xiaomi, over $400 you have strong flagships like the Mi 8, with only the Mi Note 3, Mi 6X and Xiaomi Mi 8SE in between, some of which do without Global ROM. The Mi A2 didn’t really hit me, though, unfortunately. In my eyes, the strengths are the design (except for the outstanding camera), the general performance and the camera. I also like the pure Android, although I am also a fan of MIUI – here everyone has to decide for himself what he prefers. It’s high quality, it’s something for the eye and in the, at least for me, very important disciplines like camera and performance, it convinces me. The battery life is of course a point of criticism, only 7 h screen-on time are at most average. In addition the missing memory expansion and a missing jack connection. You could almost think that Xiaomi has taken too much from Apple here. A certain degree of willingness to compromise is therefore required here. 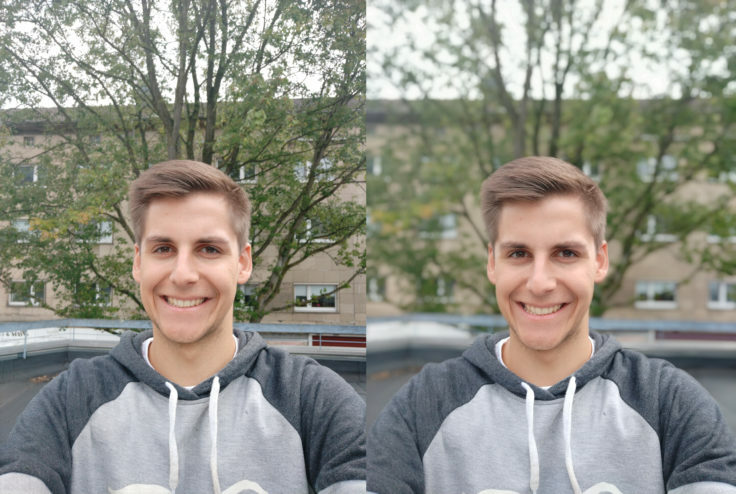 An alternative is definitely the Redmi Note 5, which, in my eyes, is much weaker in the camera, but can shine with more connection possibilities and battery. If you are willing to spend about $100 more, then of course the Poco F1 is an apparently unbeatable option. If you can get used to the lack of connectivity and a relatively long battery life, the Mi A2 is definitely a good option for the reasons mentioned above, especially in the offer price.